Internet freedom in India has improved in the past year, according to a new report from Freedom House, a web watchdog, published this week. In its annual report on state censorship in 65 countries worldwide, Freedom House saidIndia had witnessed positive developments relating to “regulatory framework, declining detentions for online speech and burgeoning digital access.” More than half of the countries included in the report saw online freedom deteriorate since June 2014, the report said. 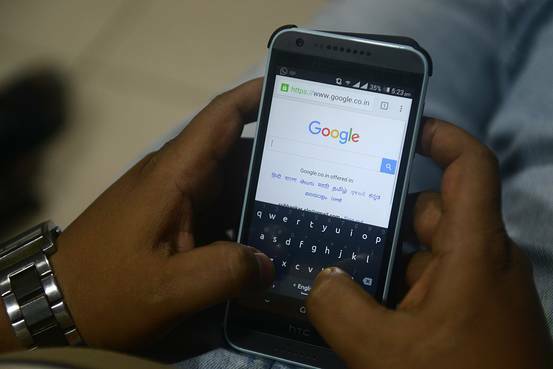 India improved its measure on two criteria: the obstacles to Internet access and violations of user rights. Its total score went up from 42 to 40, with Internet penetration leaping from 5% to 18% in the past five years. The lower the score, the better the country’s Internet freedom. The advances are attributed primarily to a ruling in March by the country’s top court which struck down legislation barring “offensive messages” online. India’s Supreme Court said that Section 66A of the Information Technology Act, which punished people guilty of publishing information online intended to cause “annoyance, inconvenience, danger” and “enmity, hatred or ill will,” contravened the constitutional right to free speech. The decision brought to a close a longstanding campaign by free-speech activists who said that the language of the law was vague and left too much room for interpretation and abuse. In its ruling, the court also said that Internet companies like Facebook and Google could move to restrict or block access to content on their websites only if ordered by a court or via a government notification and not simply acting when they had “actual knowledge” of allegedly illegal materials. This interpretation of the law, the report said, made the blocking process “more transparent.” Still, the number of requests made by the government to Google to remove content had increased, from 154 in the last six months of 2013 to 295 during the first-half of 2014, it said. Across the world, the “greatest gains” were made through changes in the law effected by the judiciary “indicating that countries with meaningful political debates and independent judiciaries have a distinct advantage in safeguarding Internet freedom over their more authoritarian counterparts,” the report said. Despite the progresses in India, which upheld its position as the third-largest Internet consumer base by users after the U.S. and China, the report noted some specific examples of an array of Internet material being clamped down upon and declared India “partly free” along with 27 others. In that category, countries like Nigeria, South Korea and Kyrgyzstan fared better than India and its Southeast Asian neighbors like Singapore, Malaysia and Indonesia fared worse. Iceland maintained pole position as the country with the most liberal Internet andChina worsened from being the third-most restrictive in 2014’s findings to the most restrictive this year. A few instances were highlighted as being of concern by the report. A July 2014 article about a member of India’s ruling Bharatiya Janata Party that was removed “after the critical piece prompted online discussion.” In February, a comedy collective called “All India Bakchod” pulled down videos of one its performances from YouTube following allegations its members used abusive and offensive language. Both these incidents prompted a debate on free speech in India. The report also expressed concern over Indian women being vulnerable to Internet violence. It referred to an incident earlier this year when a women’s rights activist said that her car was vandalized in retaliation for an online campaign she started where she uploaded video footage of an alleged sexual assault on YouTube, in order to track the assailants down. She took the video down and India’s Supreme Court ordered a probe into the alleged crime. Freedom House also gave wide mention to “Save the Internet,” an ongoing digital campaign in India to protect net neutrality, the principle that access to the Internet should remain equal. The movement was prompted after Facebook partnered with a telecom company to launch Internet.org in India to bring affordable and easier Internet access to the country’s remote corners. Campaigners say that the offering is at odds with the notion that Web providers should not control which sites users can access. Some companies initially on the platform, like travel website Cleartrip and news channel NDTV, withdrew from it after an online backlash. This week at an event in Delhi, Facebook founder Mark Zuckerberg dismissed local media reports that suggested that Facebook was trying to limit access to the users of Internet.org to only a small group of sites on the platform. He said 15 million people have access to the Internet who wouldn’t be online without Internet.org, one million of them in India. “Most of the folks pushing for net neutrality (in India) have access to the Internet already,” he said. The online crusade demonstrated “a real commitment to equal, open access to online content,” Madeline Earp, the study’s Asia research analyst said. On Thursday, in an open letter addressed to Mr. Zuckerberg, a group of volunteers at Save The Internet said: “Many of us have benefited from the Internet because of the openness, plurality and diversity it has to offer. We want more people to get access to the Internet- the entire Internet- and not primarily the filter for the web that you have set up” with Internet.org.